AerSale, a global supplier of mid-life aircraft, engines, used serviceable material (USM), and MRO services, announced today the addition of Christophe Chicandard as Vice President of Leasing & Trading – Asia Pacific Region. As the Asian aviation market continues to account for an increasing portion of AerSale’s global market, Christophe will spearhead regional business development for the company’s flight equipment sales and leasing business unit and customer relations management. 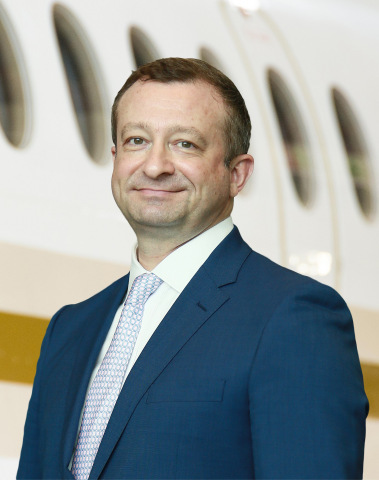 Over the span of Christophe’s 28-year aerospace industry career, he has held numerous senior sales and marketing positions with aircraft manufacturers such as ATR, Airbus, Bombardier, and Embraer, aircraft leasing companies such as CIT Aerospace and Aircastle, and MRO service providers such as Jet Aviation. His extensive scope of expertise includes strategic leadership, sales team management, and negotiation of complex fleet transactions.